Not all countries are the very same, and swimming regulations and rules are changing from one country to an additional. The most effective pools to swim are certainly indoor olympic pools. Looking for Indoor Pools in Lancashire? Quite a few of them belong to gyms or sport centers which also give lessons. Please have a look to the Swimming Pools swimmers like you have got reported. Is your pool not listed? Contact us to ADD IT. It's free of charge! Please, use the get in touch with information provided at every single pool profile. We currently have the following Indoor Pools in Lancashire, but we are usually grateful for any corrections or contributions. Get in touch by way of our contact form. Let us tell you a secret to switch off although you will be in Preston: just pick out a Swimming Pool in Preston and plunge into the water! There's no far more effective approach. Holding an estimated population of 67.400, Rossendale is one of the most important cities in Lancashire. Check all the Swimming Pool in Rossendale and its surrounding area. It's hard to visit Lancashire without dropping by Fylde (with 76.500 residents). Currently Swimia is showing you all the Pool in Fylde along with the closest pools located in its vicinity. Swimming is actually a great concept to help keep your body active for the duration of your visit to Burnley (Lancashire), or even in case you are a local. Swimia assists you to locate your closest Swimming Pool in Burnley. It's difficult to visit Lancashire without dropping by Skelmersdale (with 38.944 residents). 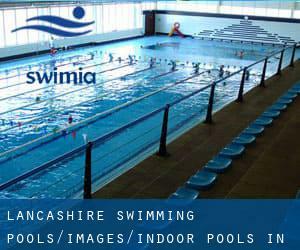 At present Swimia is showing you all of the Swimming Pool in Skelmersdale and the closest pools located in its vicinity. Without a shadow of a doubt, swimming in Morecambe may be the finest solution to unwind following perform. Take a couple of minutes to browse Swimia's catalog to find a Swimming Pool in Morecambe. Whereas Lancaster is one of the six most populous cities in Lancashire with almost 47.162 residents, you shouldn't miss that one if you're going to Lancashire. Let us tell you a secret to switch off though you happen to be in Lytham St Annes: just pick out a Swimming Pool in Lytham St Annes and plunge into the water! There's no additional helpful method. Crow Hills Road , Penwortham , Preston (Lancs) , England , UNITED KINGDOM (Postal Code: PR1 0JE). Among all of the activities provided by the center, if you are interested in swimming you may enjoy 25 meters x 15 meters, Indoors. Just in case you want to make contact with this Pool prior to dropping by, we only know the phone number. Bailrigg , Bailrigg , Lancaster , England , UNITED KINGDOM (Postal Code: LA1 4YW). Among all of the activities provided by the center, if you are interested in swimming you can get pleasure from 25 meters x 13 meters, Indoors. If you should contact this Pool, email address and phone number are both number. Updated on 2019 Lodge Bank , Brinscall , England , UNITED KINGDOM (Postal Code: PR6 8QU). Swimmers like you reported 25 yards, 4 lanes, Indoors. Unfortunately we do not have the email address of this Swimming Pool, but we can give you the phone number. Ribbleton Lane , Preston (Lancs) , England , UNITED KINGDOM (Postal Code: PR1 5EP). Swimmers like you reported 25 meters x 12.5 meters, 6 lanes, 1 meters - 2 meters depth, 1 meters - 2 meters depth, Indoors. Unfortunately we do not have the e-mail address of this Swimming Pool, but we can give you the phone number. Birch Road , Garstang , England , UNITED KINGDOM (Postal Code: PR3 1HT). Among all the activities supplied by the center, for anyone who is interested in swimming you will enjoy 20 meters x 7.5 meters, 4 lanes, Indoors. If you must get in touch with this Swimming Pool, email address and phone number are both number. The Capitol Centre , Walton-le-Dale , Preston (Lancs) , England , UNITED KINGDOM (Postal Code: PR5 4AW). Among all the activities offered by the center, if you're interested in swimming you will enjoy 25 meters x 12.5 meters, Indoors. Just in case you desire to contact this Swimming Pool before dropping by, we only know the phone number. Edisford Road , Clitheroe , England , UNITED KINGDOM (Postal Code: BB7 3LA). Swimmers like you reported 25 meters, 5 lanes, 0.9 meters - 3 meters depth, 0.9 meters - 3 meters depth, Indoors. Phone number and email address are number for this Swimming Pool. Northway (Road) , Skelmersdale , England , UNITED KINGDOM (Postal Code: WN8 6LU). Among all the activities supplied by the center, if you are thinking about swimming you can enjoy 20 meters x 5 meters, Indoors. Just in case you want to contact this Swimming Pool just before dropping by, we only know the phone number. Updated on 2019 Carnforth High School , Kellet Road , Carnforth , England , UNITED KINGDOM (Postal Code: LA5 9LS). This sports center provides 20 meters x 7 meters, 4 lanes, 0.9 meters - 1.9 meters depth, 0.9 meters - 1.9 meters depth, Indoors. Contact information for this Swimming Pool which include phone number and email address are number. Moss Lane , Whittle - Le - Woods , England , UNITED KINGDOM (Postal Code: PR6 8AB). Among all the activities offered by the center, when you are interested in swimming you are going to delight in 25 meters x 10 meters, Indoors. Just in case you want to make contact with this Swimming Pool before dropping by, we only know the phone number. Updated on 2019 Water Street , Just North of Town Centre , Chorley , England , UNITED KINGDOM (Postal Code: PR7 1EX). Swimmers like you reported 25 meters, 6 lanes, Indoors. Unfortunately we do not have the email address of this Swimming Pool, but we can give you the phone number. Preston Road , Whittle - Le - Woods , England , UNITED KINGDOM (Postal Code: PR6 7PP). Among all the activities provided by the center, should you be interested in swimming you will take pleasure in 18 meters x 15 meters, Indoors. If you might want to contact this Swimming Pool, email address and phone number are both number. Brindle Road , Bamber Bridge , Preston (Lancs) , England , UNITED KINGDOM (Postal Code: PR5 6YJ). Among all of the activities supplied by the center, should you be interested in swimming you are going to appreciate 25 meters x 14 meters, no lanes, Indoors. Just in case you wish to get in touch with this Pool just before dropping by, we only know the phone number. Kelbrook New Road , Barnoldswick , England , UNITED KINGDOM (Postal Code: BB18 5TB). This sports center offers 25 meters, Indoors. Contact details for this Pool which include phone number and email address are number.